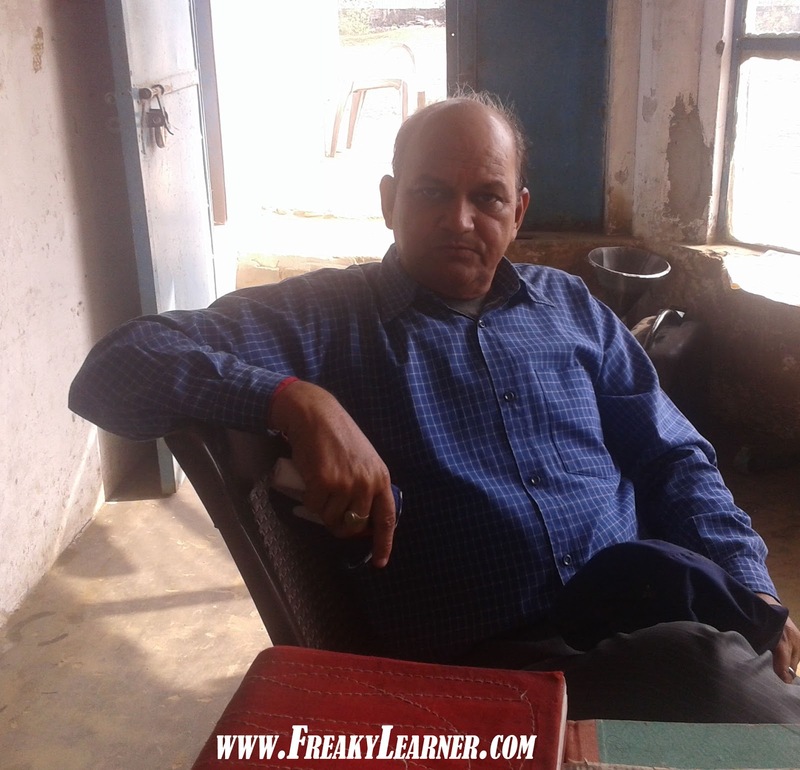 One Hour Interview with A Man Of Value, A Stranger or should I call him Mr. Ved Prakash Sharma. “I am making notes”, I replied. “What do you study?”, he further asked. “You must study from books as well”, he suggested. He started telling about his own Education background and how reached where he is today. By now, he took my whole attention so perfectly that I kept my pen on a notebook and started listening to him. While He was telling me many things, I kept introducing various questions into the discussion, to grab more knowledge. 1. How can I improve my Vocabulary? He talked about how the GNA, LPU, TATA and Reliance grew in the business and from where they started. While talking about these giants, he told about Karl Marx’ Theory mentioning, “The more you invest, the more you will earn”. He also beautifully used the concept of Mathematics while explaining the concept of Capital in Business. He stated, “PLUS and PLUS results in PLUS. PLUS and MINUS results in MINUS” He used this statement perfectly suggesting that there must be least withdrawals from business, rather you must reinvest it into the business. He told that he did Sales work with Nirma for Rs. 700 per day and used to gain market knowledge while working. In addition he said tha currently he is a Professor at Senior Secondary School. Moreover, he gives 3 lectures at LPU twice a week for ILETS. 2. I shared my dream job and told him that my General Knowledge is Zero, and asked how can I improve? Based on my dream job, he recommended me the above three magazines and taught me ways about how to read a newspaper. He started his answer with this amazing example which really surprised me, yet he continued by explaining me how Finance is dependent upon Marketing and informed that he has read many books on marketing such as Kar Lo Duniya Muthi mein, Net Marketing and others from authors; Chetan Anand, Manoj Bajpayee, etc. He also stated that Manoj Bajpayee is not only a good actor but a great story writer and also a good lecturer. 4. Later I mentioned my intentions about my ultimate dream and how I procrastinate it. I requested him to suggest me ways to work for it. “Start with Imagination, sit in a peace environment for 30 minutes every day and only think about what you want to do, after few days when you will have complete mind set about what is the subject matter of what you want to do, you will automatically feel motivated to do it. Gradually, you will find a direction in your work and will not stop in the middle way until you reach your destination. Same goes with life, if you remember when you were child, your Mother used to wake you up with force and give tea and make you ready for school. Gradually you got a habit of waking up by yourself and asking for tea before getting ready. Few years later, you started having tea after getting ready. Then finally the time came, when you started even making tea for your Parents after waking up and getting ready by yourself. Once you achieve these 4 stages, you automatically enters into the 5th step i.e. Practical. And make sure that you don’t think about all these, in your exam days, rather just focus only on the exam strategies and do well”. “I was working with Nirma after doing BA when I met with a student who introduced me to Professor who recommended me to do MA in English Literature, so I enrolled for the same. But gradually things were different for me because I came to know I had to read 45 Books during the course but I was still working. I then, decided to talk to the same professor for suggestion and he advised me to prefer 5 Books for each subject. I agreed and used to take 2 Books on rent for every 15 days from Jalandhar and make notes out of them on every weekend. I got 47% in first year whereas Regular students got only 52%. Therefore Professor recommended me to enroll for regular course but I told him that I cannot afford and then he agreed to pay for my fees. Hence, I agreed for half fees, and converted my degree to a regular program. I finally got 42% as I had to leave college for 2 months due to some personal reasons. Moreover, he told that he has been working as a Lecturer from the past 24 years and is about to retire in next 3-4 years, yet he shared his future goals after that as well. At the end, when he said bye and went outside the office, I looked out of the window and started waiting to see on which vehicle he just came. I was amazed to see him going back to home on bicycle, his respect in my eyes grew even more.